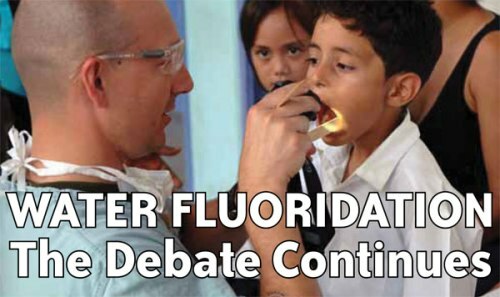 Ken Perrott responds to Tom O’Connor’s post Debating fluoridation and tyranny – Tom O’Connor responds. This is the second article in the debate. That is not the ‘tyranny of the majority” that Tom claims because on most issues the individual still has the “freedom of choice” to make individual arrangements to satisfy their position. No one is being coerced and the individual can take personal responsibility for their own arrangements. This is particular true with community water fluoridation (CWF). In the most general terms, these boil down to issues of social responsibility vs individual or personal responsibility. Put simplistically, some would see the conflict a between a “socialist” or “libertarian” perspective (I apologise for using labels.) These different values systems lead to different understandings of freedom of choice (and of being “forced”). Putting “both sides” into the same box of “engaging in pseudo-science and scare mongering” is a Clayton’s argument. A claim made without any substantiation but appealing to “balance” and “fairness.” Rather than relying on such “warm fuzzies” Tom should present the examples and evidence if he wishes to make such claims.